Whenever I look for hotel reservation in my international races, I always ask Mr Trip Advisor or Mr booking.com. 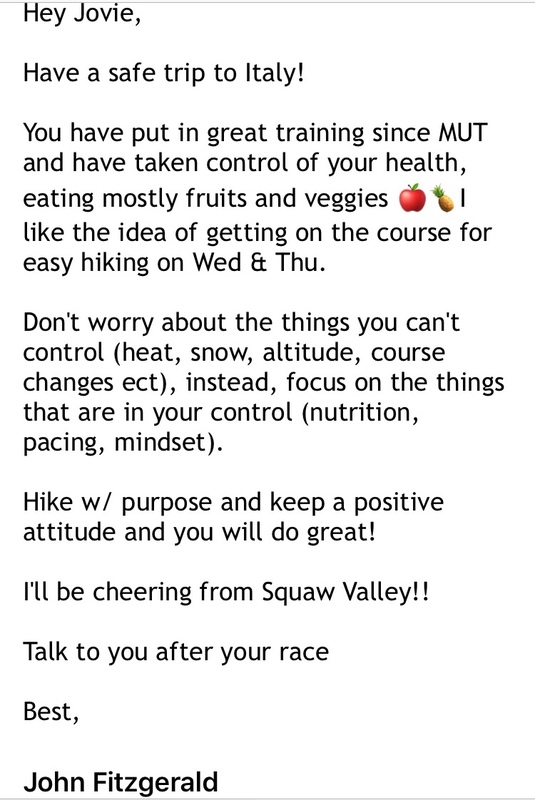 I am not that type of a runner that contacts the Race Organizer or Race Director and send inquiry or questions about what and where I can be accommodated or where I would dine/eat and buy some groceries. And worse, when a runner ask for what transport arrangement or trip schedule one would take to reach the place of the event. This is the very reason why I would not answer queries of international runners if they are interested to join my races or PAU Races. Mr Google is more efficient than me, period! 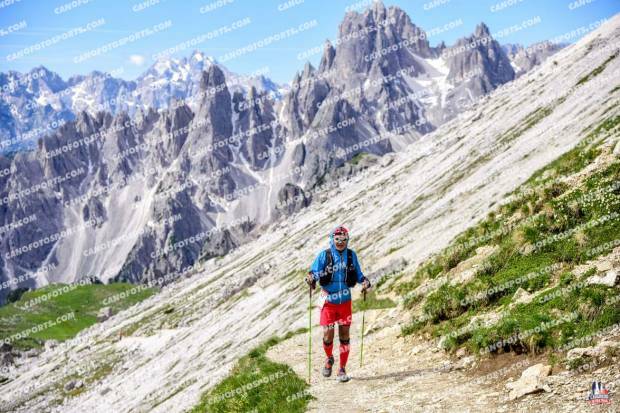 Once I paid the registration fee of 120 Euros for the TNF Lavaredo 120K Ultra, I tried to scout my possible choice of hotel or accommodation in Cortina.I was initially booked at Hotel Natale for 6 days for 990 Euros and a Free Charge for the reservation. 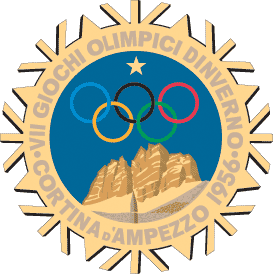 However, after one month, I found out that the Dependance Hotel Corona which I think nearer to the Start/Finish and to the Ice Olympic Stadium (Venue for Race Packet-Pick-Up & General Headquarters of the Event), was cheaper than Hotel Natale. Before I booked for my Hotel accommodation, I asked Mon Beleno where he stayed during his previous year’s participation in the event. I tried to book at the said Hotel but all the rooms were already reserved. 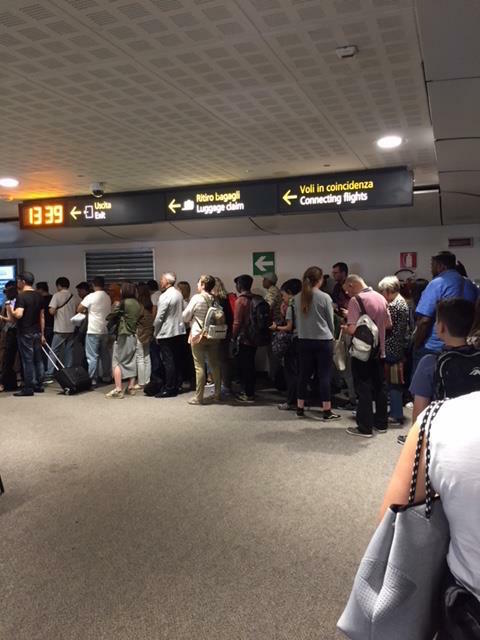 Knowing that Hotel Corona was cheaper, I cancelled my reservation at Hotel Natale and confirmed my reservation with Dependance Hotel Corona with a reduced price of 660 Euros plus Community Tax of about 30 Euros for my 6-day stay. 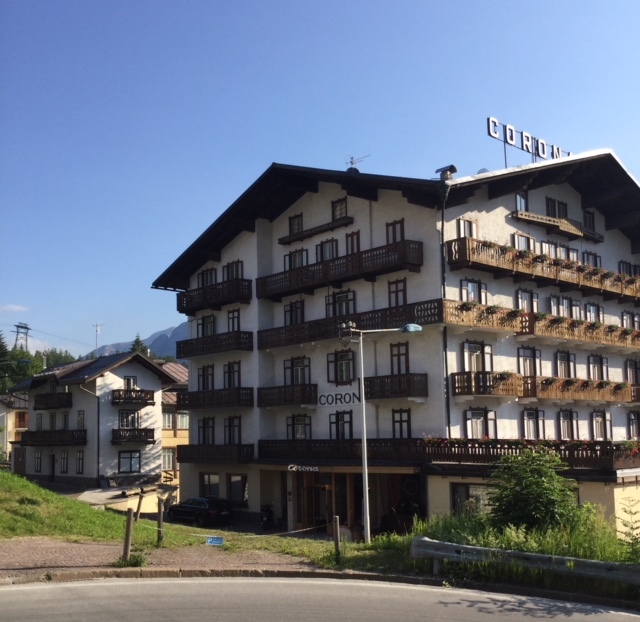 I did not bother to contact or send e-mail to the staff of the Hotel on how I would be able to reach the place after I arrived at the Bus Terminal in Cortina. It is always my practice to look for a Taxi at the Bus Terminal and ask the Taxi Driver to bring me to the Hotel by giving him the printed address of the said place. 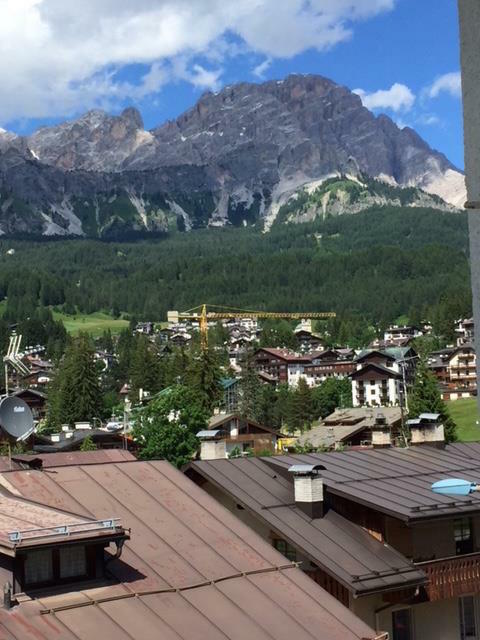 During my bus ride from Marco Polo International Airport to Cortina, I was seated with a Lady who is a local in Cortina but does not have the description as a runner. 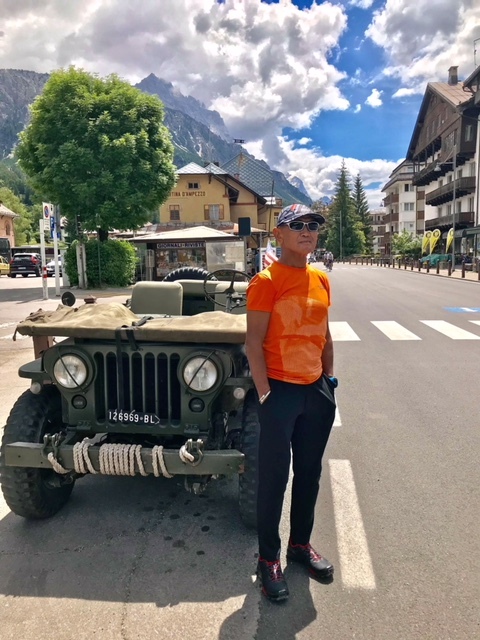 After Arwin Sta Clara and Rodel Castillo alighted from the bus, 20 kilometers from Cortina, I could see beautiful formation of rocky mountains on the horizon. The lady started a conversation and told me that the mountains I was seeing will be those mountains that the runners will reach or pass by. 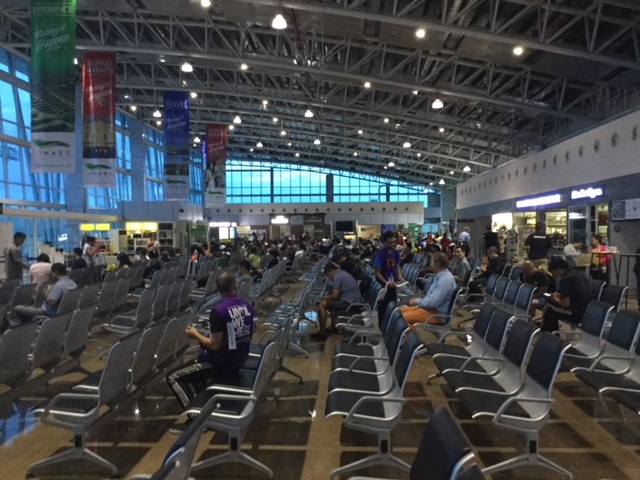 After some time during our conversation, I asked her where is the location of the Dependance Hotel Corona from the Bus Terminal and if there are Taxis around to ride to bring me to the Hotel. She said to me not to worry as she would point to me the direction and streets to take as the distance could be hiked in 5 minutes. The lady, Sandra, happens to be the owner of a Gelato Store across the street from the Bus Terminal and her store is closed from June to October because this period is considered as their “lean months” for tourists and visitors. 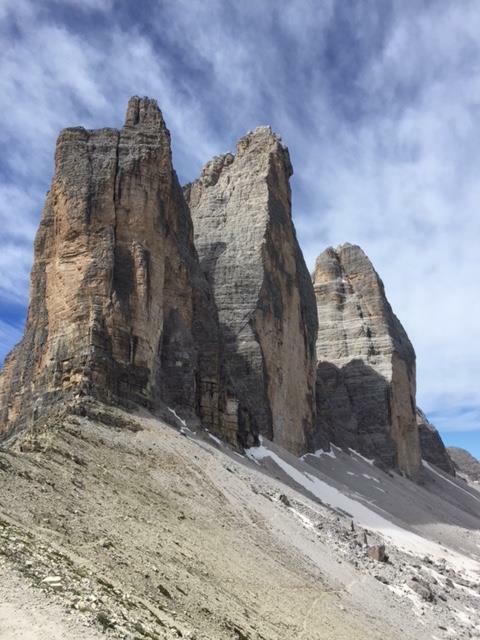 Basically, Cortina is a skiing location and visitors would flock to the area starting in November up to April/May. 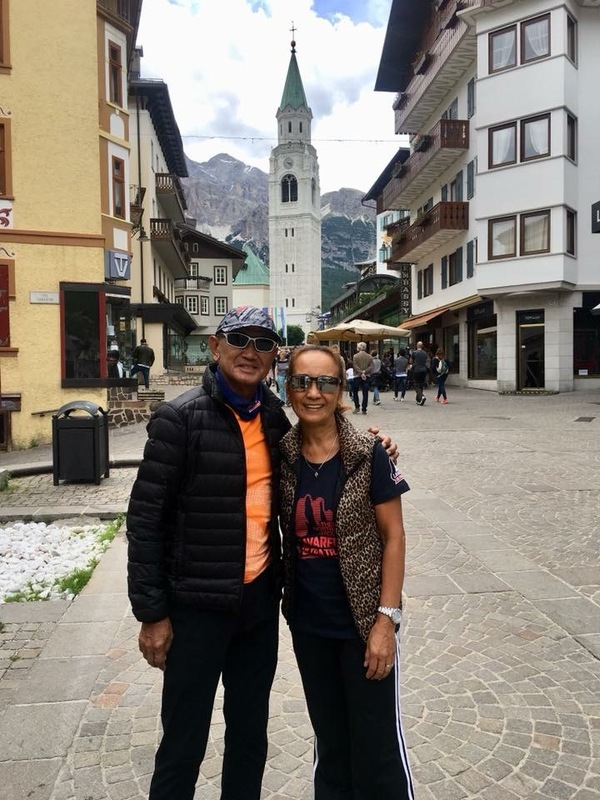 As we approached the Bus Terminal of Cortina, Sandra was waving to a man standing beside a car at the Parking Area and I thought the guy is a Taxi Driver. 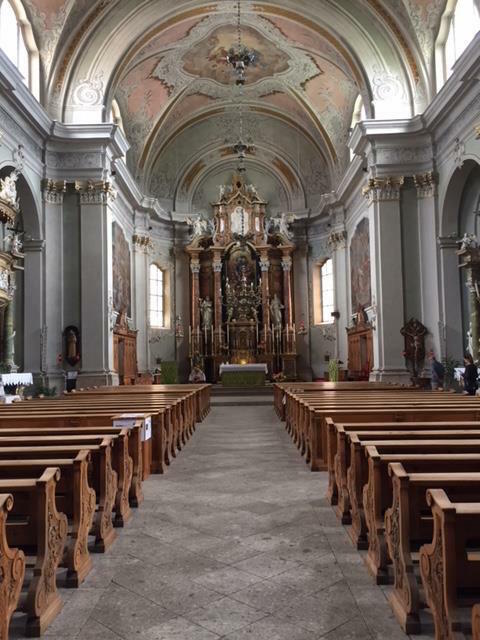 After we alighted and got my luggage from the Cortina Express Bus, he talked to the guy and I found out that the guy is her husband and she asked to drive the car to bring me to Hotel Corona as Sandra left us to proceed to her Gelato Store across the street. I thanked Sandra for the hospitality which I did not expect. In less than 2 minutes aboard the car of Sandra, I was already in front of the door of Hotel Corona. 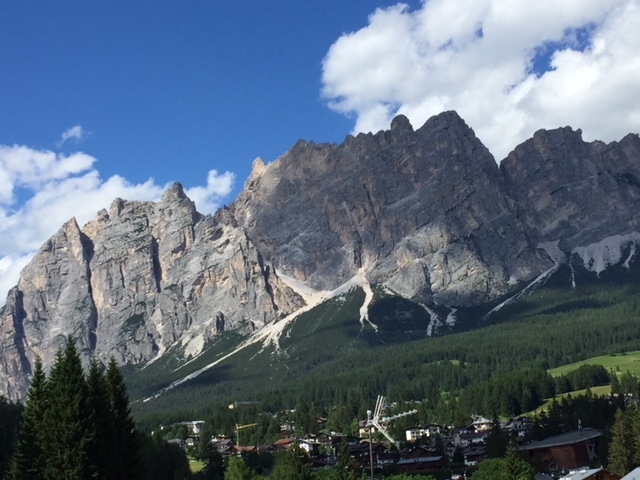 It was already 9:00 PM of Tuesday when I arrived in Cortina but it was still daytime. The days are longer than nighttime in this part of the world and it is summer time in Italy. My room was nice and it has a porch with beautiful scenery around. 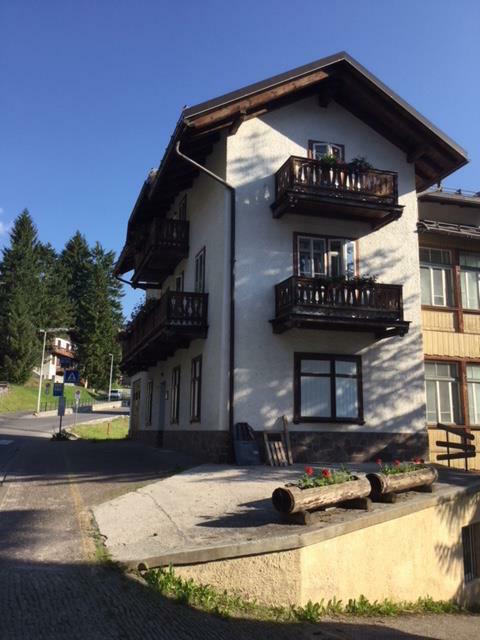 There is also a Bus Stop for the local Dolomiti Bus in front of the Hotel. It has a Free Wi-Fi and Free Daily Breakfast Buffet from 7:30 AM to 10:00 AM. The room is being cleaned and supplied with fresh towels every day! 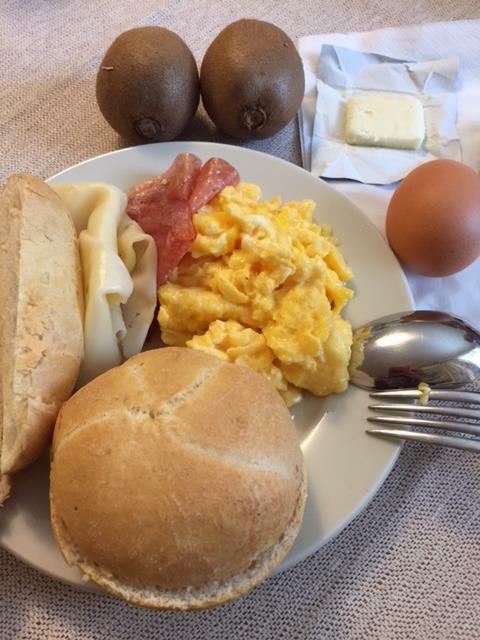 Though the Daily Breakfast had been the same throughout the 6 days that I have stayed, I really enjoyed the food and a chance to meet and speak with some of the guests of the Hotel during breakfast. I will reserve a separate blog or story on the persons that I met while I was staying in the said hotel. 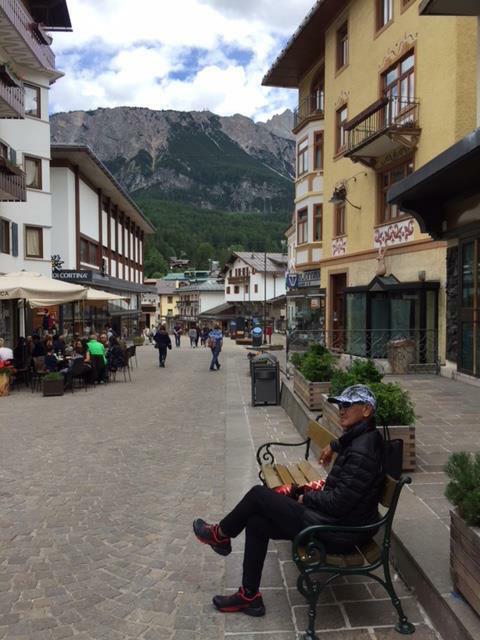 It is really a 5-minute leisurely walk from the Hotel to the center of the town of Cortina when I tried to look for an open convenience store to buy some bottled water and groceries; and to find a place where to eat for dinner. There was no convenience store opened and I learned later on the following day that there is only ONE Grocery Store in town! It’s the La Cooperativa De Cortina which is multi-story modern building with all the things that a department store should have. First Floor is the Grocery Store/Bakery/Pasta & Salad Bar; 2nd Floor is where Signature Brands of Clothes are located; 3rd Floor is Household and Kitchen Needs; and the 4th Floor is an Outdoor Sports Store. 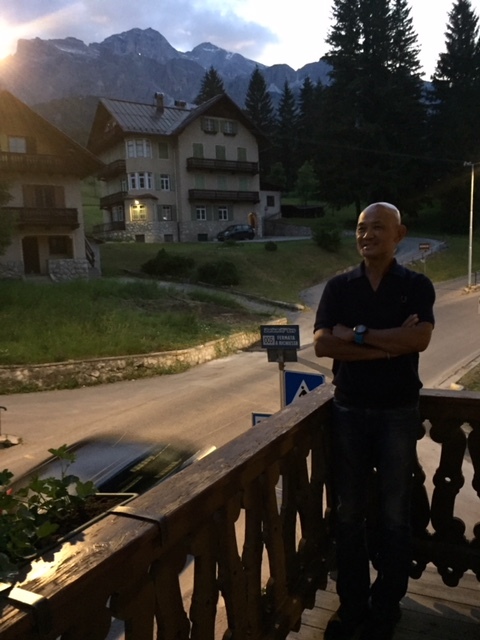 There was only one open Pub and Restaurant place at that time of the night where I was able to order the Best Hamburger I’ve tasted in Cortina! Before midnight, I was already in my bed and slept soundly till the following day. 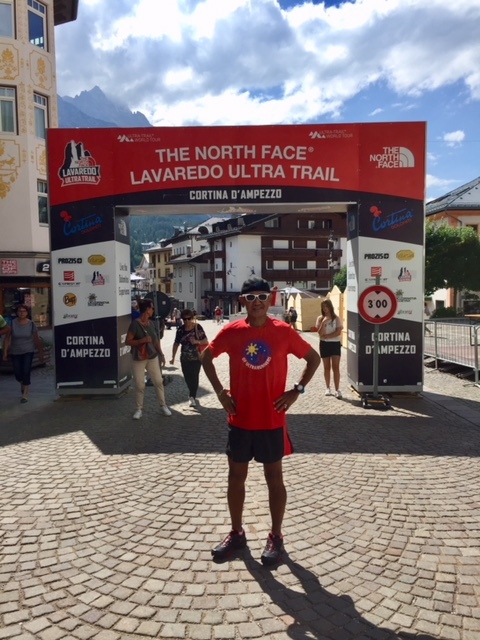 After breakfast, I went to the center of the town of Cortina and I was able to see and have my picture taken at the Start/Finish Arc of the TNF Lavaredo. I went to the Cooperative Store where I bought some groceries and browsed some of the running gears at the Sports Section of the Building. 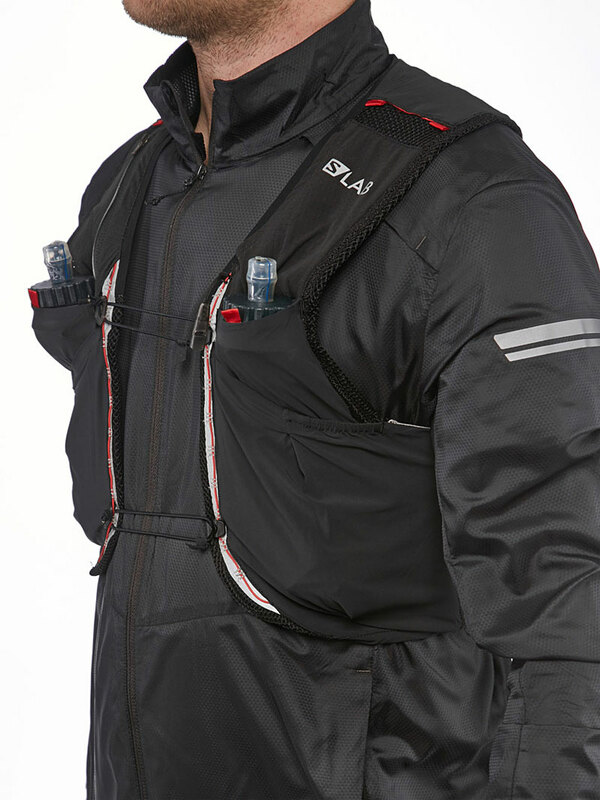 I was able to buy a Salomon Pulse Belt where I could stow my trekking poles at the back of my waist. It is worth 30 Euros and I was glad that there was only one stock left for my size, Small. I had my lunch at Hacker which serves the best and cheapest Panini in town. I was not able to finish the whole order and I had the remaining portion as “take away” for my dinner. In the late afternoon at 5:30 PM, I went out of the hotel to run for one hour and tried to trace the first 8 kilometers of the course. 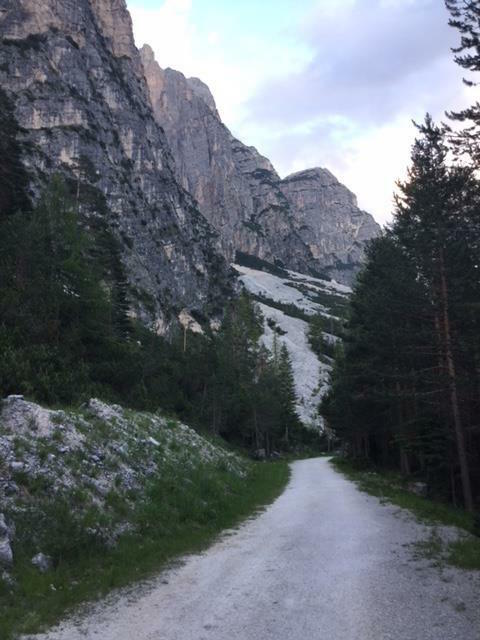 It was an easy run but I think I got lost after running for about 1.5 kilometers from my Hotel and went to a different trailhead but I had a taste of the surface texture and nature of the trail of Cortina. My plan for an hour of easy run became almost two hours because of more time appreciating the beauty of the mountains all around me. I got nearer to the walls of the mountains and I was able to see the true color of the rocks and hear the rushing of water coming from the sides of the mountains where I passed. I though the trail is flat but as I uploaded the data from my Garmin GPS watch, I found out that I was able to gain at least 1,000 feet for a 7-kilometer one-way run. This 2-hour run made me adjust and acclimatize with the surroundings in the area. I knew that I was in an altitude of almost 5,000 feet above sea level and I observed my breathing and how my body would react to the altitude. It appeared that my body was able to adjust to the altitude for the past day since I arrived in town. 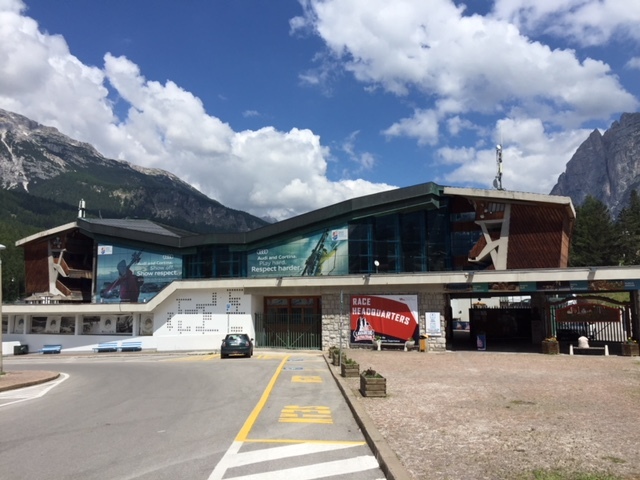 After breakfast at the Hotel, I went to the Ice Olympic Stadium in Cortina (Cortina hosted the Winter Olympics sometime in January-February 1956) for the Race Packet Pick-Up which is 650-meter walk from my hotel. After my mandatory gear check with the Staff of the Race Organizer, I was given my Race Bib, RFID Tag, Commemorative Event’s Shirt, and Event’s Bracelet Ribbon. I had my picture taken with my Race Bib in front of the Events’ Logo Tarp. From there, I went around the Expo and I was able to buy a Salomon Bonatti Waterproof Pants which is very much lighter than the one that I have. The Salomon Pants goes in pair with the Salomon Bonatti Waterproof Jacket that I have already. These are reliable mandatory gears that I must have if I intend to run more European Mountain Trail Races in the future. 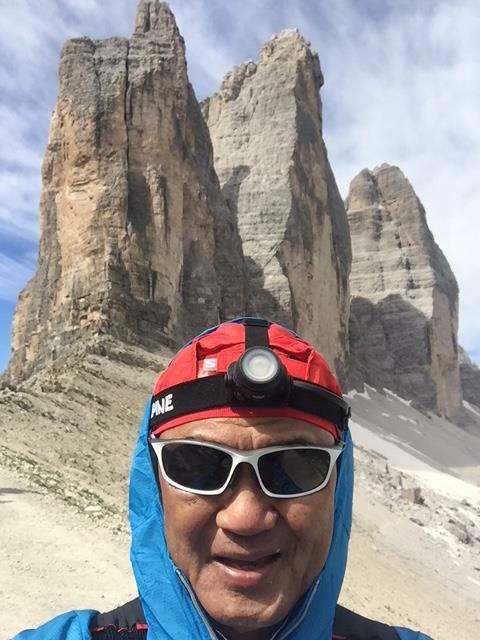 I was able to meet the Sales Representative/Manager of Buff in Italy, Maurizia Grosso, who was able to give some discounts of their TNF Lavaredo products and other items. She was very friendly and impressed that I was the only one among the runners who was NOT dressed with a running attire. 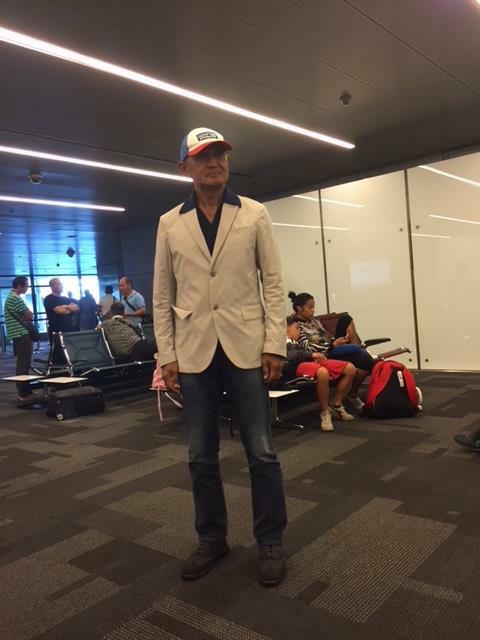 It was a nice compliment when she told me that I dressed elegantly even if I am old already. Oh, well, I might have over reacted by her comment that I was able to buy more of her BUFF items from what I’ve had planned to buy. After my sales transaction with Maurizia, I immediately left the Ice Stadium and proceeded back to the Hotel. 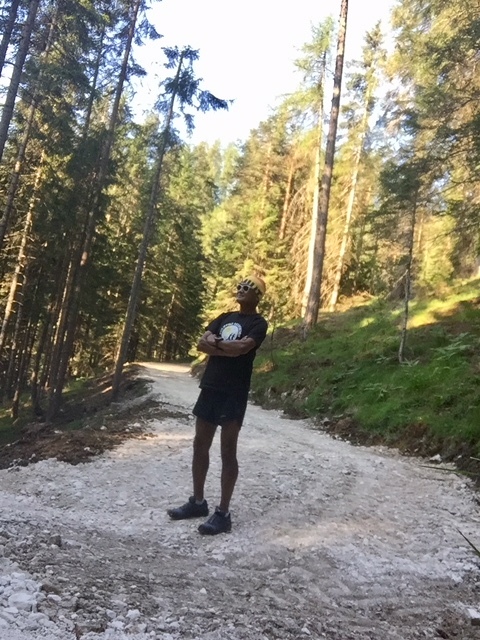 I changed to my running gear and went out for a one-hour hike on the last 3-4 kilometers of the course which passes in front where my Hotel is located. It was sunny when I had my hike and I observed that the Race Organizer had really made sure that the trail is even and clean. They widened and scraped the trail and if there is uneven patches, they placed some soil or crushed rocks on them. There were ribbon markings already along the route and they are very visible. In less than one hour, I was back at the Hotel. 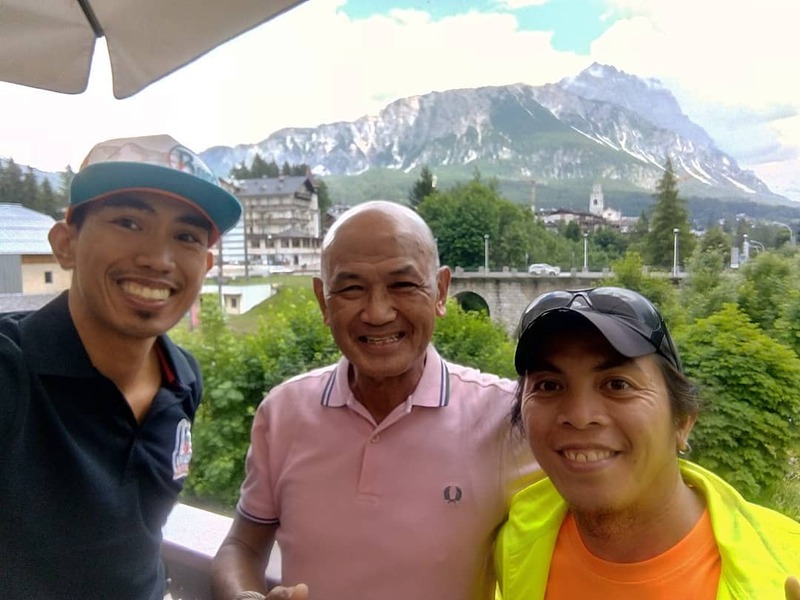 Arwin Santa Clara and Rodel Castillo contacted me and we communicated with each other to meet at my Hotel after my hike. I gave them PAU Shirt each as gift and Arwin gave me a RP Flag Bluff which I intend to bring with me during the race. We met and talked with each other; exchange and shared our Race Strategy with one another; and running experiences. 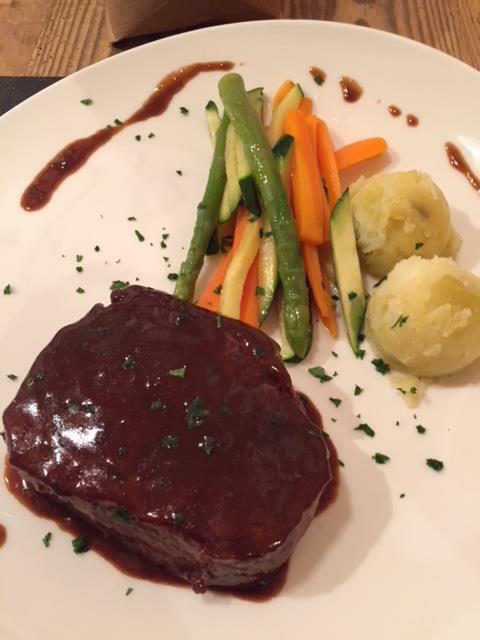 We extended our conversation with an early Dinner at Hacker Restaurant in the center of Cortina. We separated after dinner as they have to catch up with their Dolomiti Bus back to their accommodation place. We agreed with each other that we will see each other at the Starting Area before the start time at 11:00 PM of Friday. 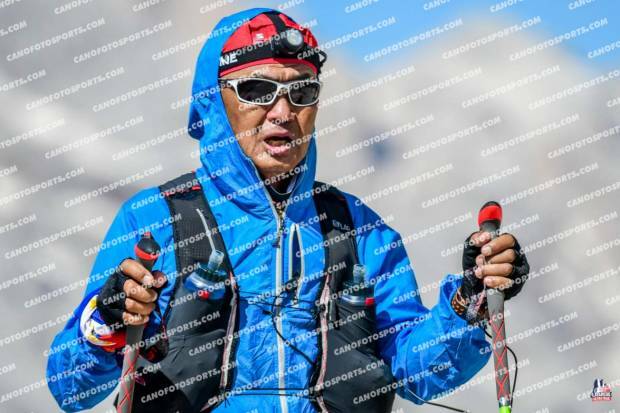 In summary, I told them that I would try my best to pass through the first Cut-Off Time Checkpoint at Km 33 and if I can build some buffer time, I will slugged it out to the finish line if I will not incur any injury. 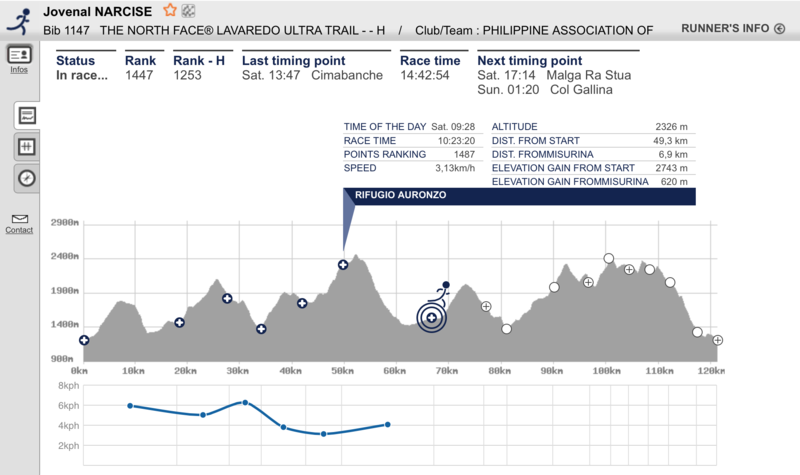 Rodel was seemingly the most silent among the three of us and he told us that he will just try to finish the race. Arwin, on the other hand, was very confident to finish race without any concern of being cut-off on the Checkpoints along the course. We wished each other good luck! It was a complete “rest/sleep and eat” ritual during the day on Friday for me and during my awake period, I would prepare my running kit and nutrition needs. At 9:00 PM, I was already changing to my running attire while eating whatever food that was available in my room. At 10:15 PM, I was already on my way out of the Hotel and in 5 minutes, I was already at the Town Center trying to squeeze myself to reach my place at the Starting Area. 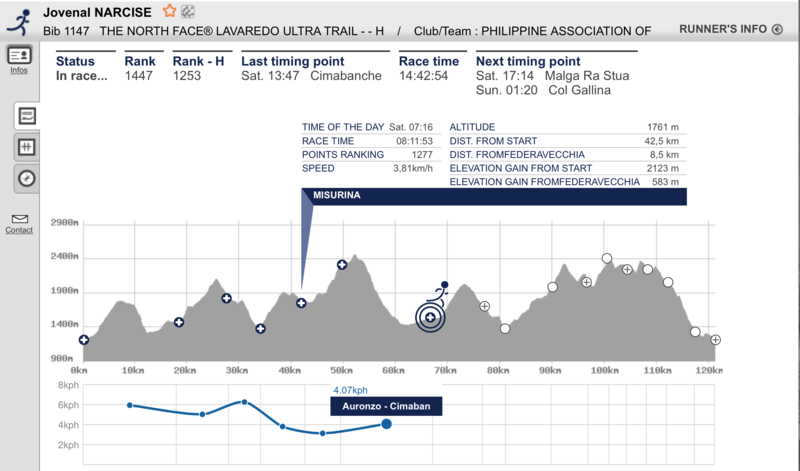 15 minutes before the start time, I was able to locate Arwin and Rodel and we talked and wished each of us for a safe run and strong finish. 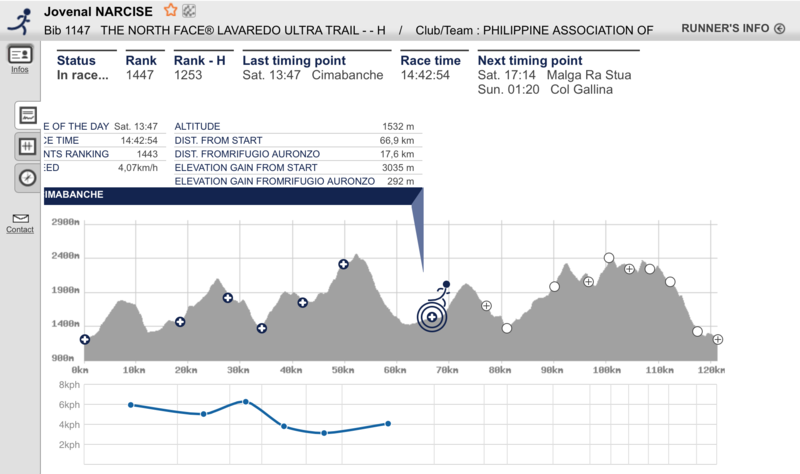 Arwin and I would still have time to go to the Toilet to pee which is few meters from the Start Area. 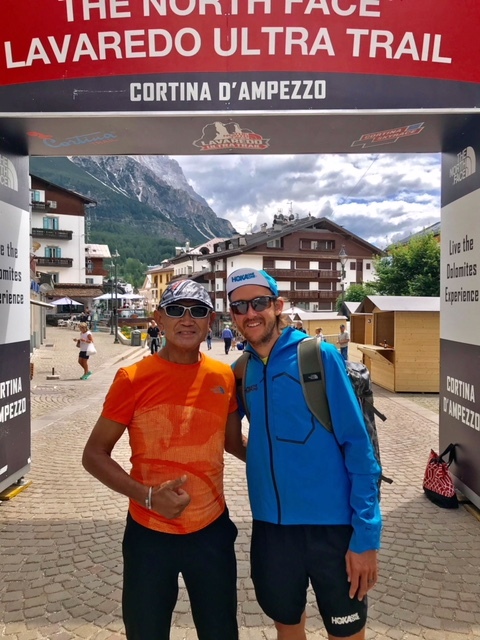 Just imagine almost 1,700 runners packed along the main narrow street of Cortina and with the presence of supporters, relatives, friends and locals in the area, Cortina was on a festive mood and it was noisy. The EMCEE was talking in Italian and the RD delivered the final briefing and what I did understand was his explanation that there will be “No Raining Forecast” during Race Day! The rendition of the Musical Score of the movie “The Good, the Bad, and The Ugly” entitled “The Ecstasy Of Gold” was played and it was the signal that race was about to start. 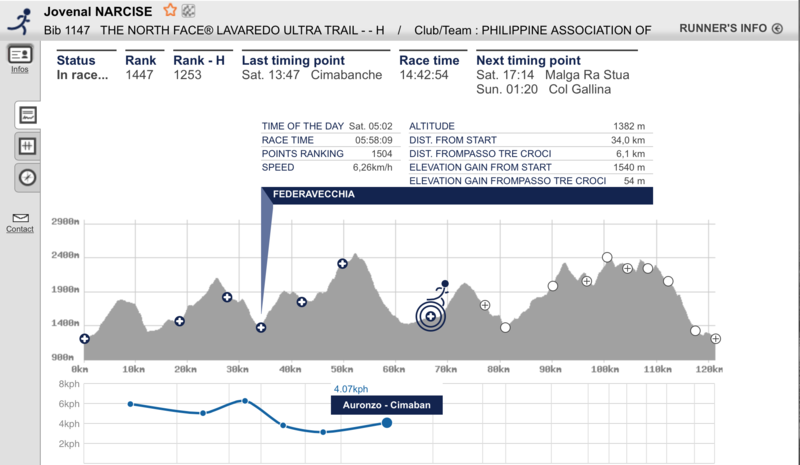 Arwin and I were surprised that the race has not started at exactly 11:00 PM and after 3 minutes, we finally heard the countdown from 10 to Go in Italian! Diece…Nove…Otto..Sette…Sei…Cinque…Quattro…Tre…Due…Uno…Go!